During my time abroad, I received an entirely new perspective on design, one that differed greatly from design practices here in the United States. 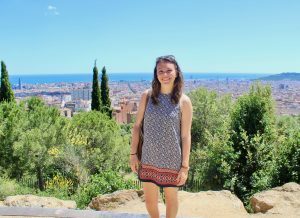 To begin the six-week courses, I was introduced to the history of Barcelona and how it has become the bustling tourist destination that it is today. We learned first of the four main concepts of Ildefons Cerda’s Theory of Urbanization; hygiene, circulation, public services, and code of urban ordinances. These four areas were the main building blocks for the unique gridded expansion of the city in the mid-19th century, otherwise known as L’Eixample. He saw the need for more natural lighting, green spaces, public services, and the seamless movement of people, goods, and services within the City of Barcelona. To achieve this, Cerda’s new grid system was laid out with an even ratio of roadway and sidewalk width. In other words, the sidewalk would reach out from the buildings 10 meters, followed by 20 meters of roadway, followed by another 10 meters of sidewalk. The corners of all blocks were also cut off at 45-degree angles, making crossing streets safer and helping breezes move through the city more easily. The interior of each block was meant for public greenspaces. My focus was then narrowed specifically on the coastline of Barcelona. 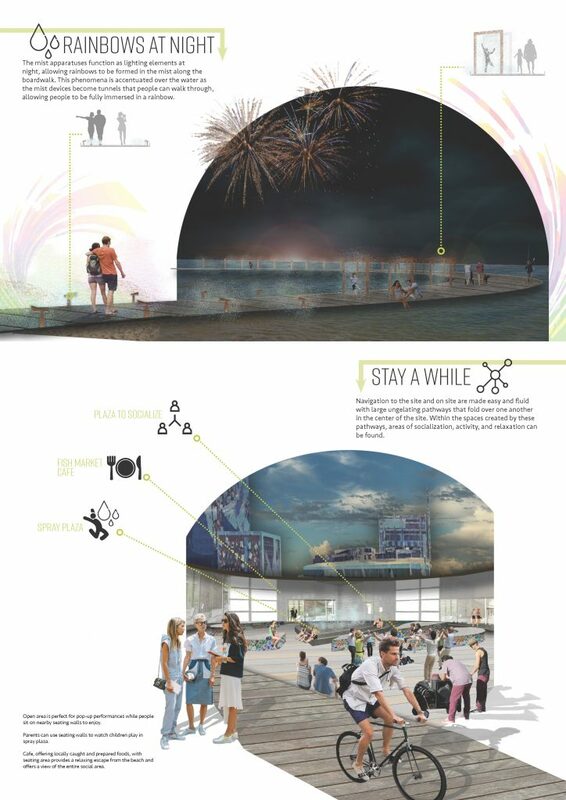 The goal of my design studio was to transform an outdated, underutilized beach athletic club into a coastline destination that would better link the urban fabric of the city to the shore. The history of Barcelona’s shoreline is not one of nature but one of man’s alteration and construction. As industry grew, it became a dumping and transportation nightmare, only to be manually overhauled in time for the 1992 Olympic Games. In order to accommodate the Olympics, intense urban renewal occurred throughout the city to prepare for the Games and the immense amount of people that would arrive in the city. 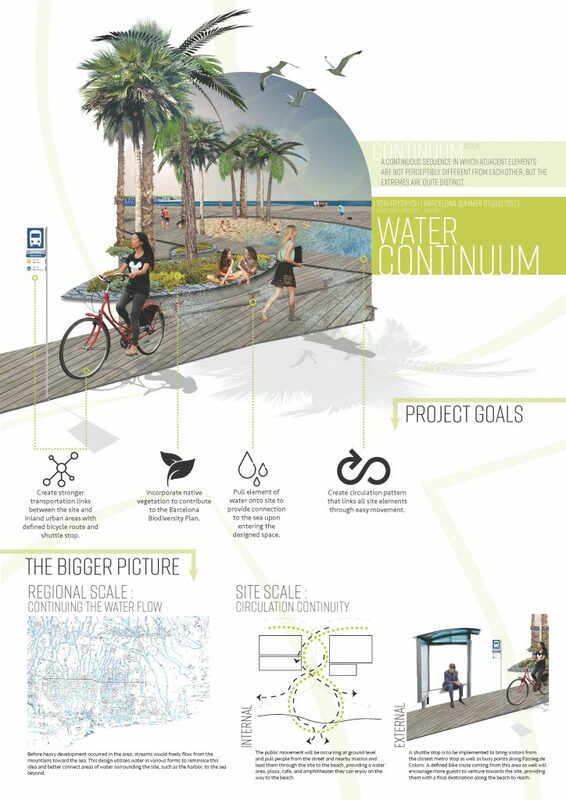 Most of these improvements occurred in the coastal shoreline areas of the city. Additionally, it was relatively blocked off from people because of the many rail lines that were running along the coast. In preparation for the Games, these rail lines were redirected and new transportation highways were added. This opened access to the shore and six artificial beaches were created to be used during the Olympics and to attract tourism long afterwards. Keeping this history in mind, I created a site that both physically connected the land and sea while also visually mirroring the two domains, showing that they will be forever linked in the city’s history of expansion and growth. 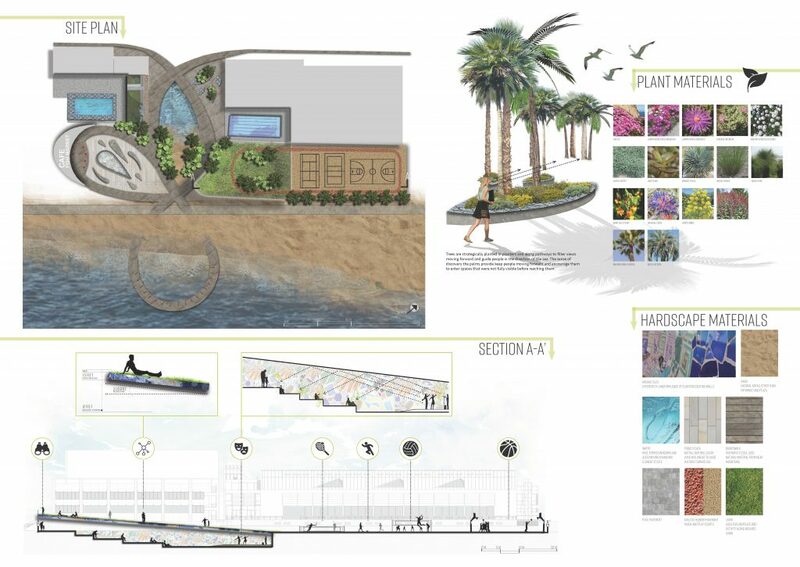 Overall, I created a design that allowed for public gathering plazas, cafés featuring locally caught fish, performance spaces, recreation areas, and largely a better connection from the nearby commercial district to the popular beaches. I greatly enjoyed my time abroad and will keep Cerda’s design principles in mind as I enter my fourth year studying Landscape Architecture at Penn State University. I will be studying abroad in Bonn, Germany next fall and I am eager to see how other areas of Europe approach the design process.